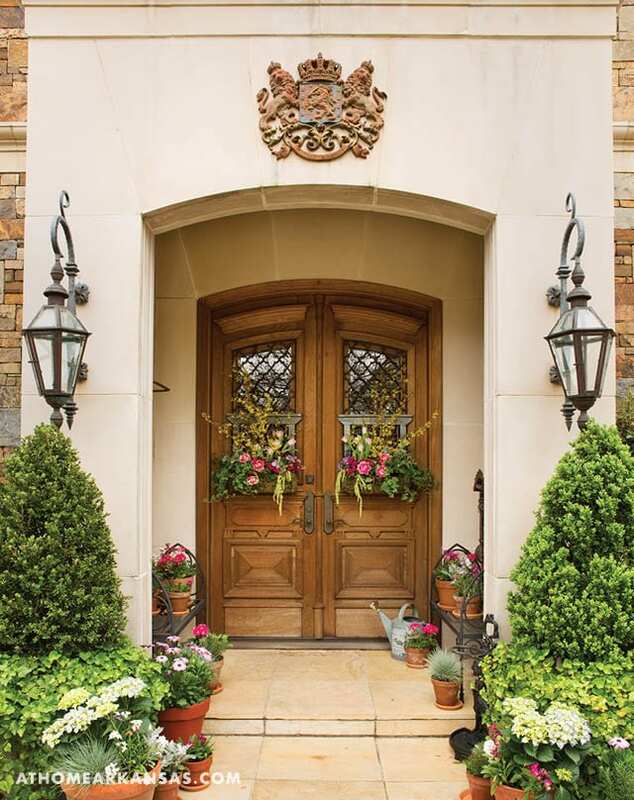 David Kirkpatrick, owner of Cabbage Rose, and floral designer Felecia Pleis played off of this home’s blooming spring garden when filling the wrought iron baskets on the doors. 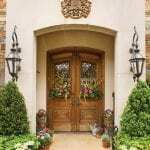 “We wanted to keep it natural, and we really felt that this home’s entry doors lend themselves to this look,” Pleis says. 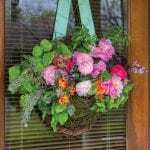 The baskets, which mirror one another, are filled with parrot tulips, field tulips, English ivy, forsythia, dianthus, hanging amaranthus, ‘Monte Casino’ aster, and tweedia. 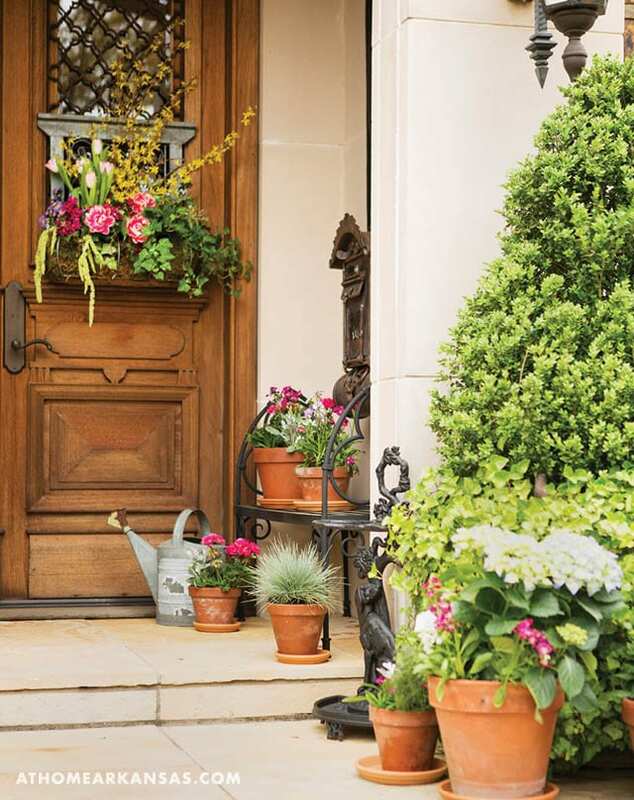 Classic terracotta planters filled with seasonal plantings line the entrance and complement the door displays. 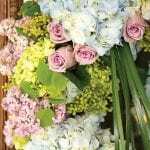 Pleis notes that while this arrangement uses fresh flowers—perfect for an event or party—Cabbage Rose could also create the look with silks for a longer life. 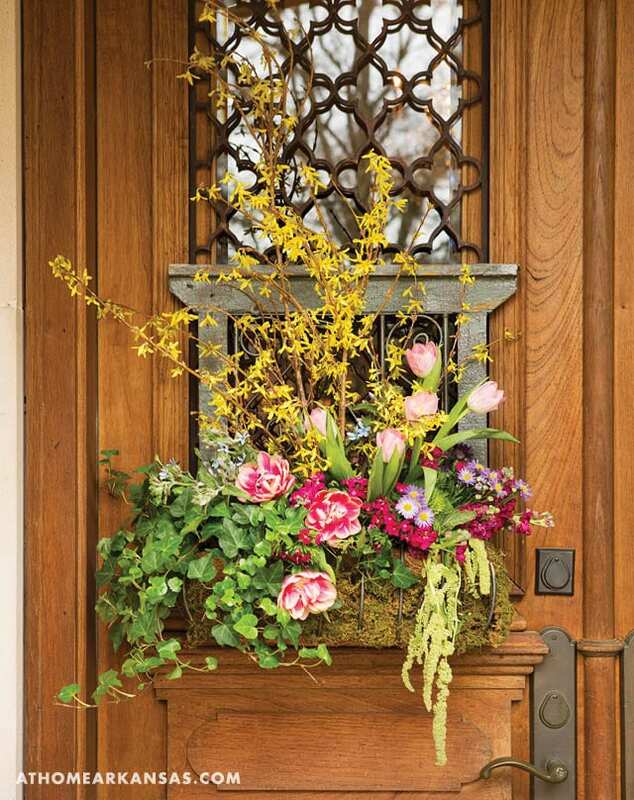 Having been in the floral design business for 23 years, Wallace admits that he loves having fresh flowers at home, especially on the porch where the pair spends most evenings when weather permits. 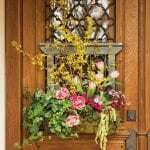 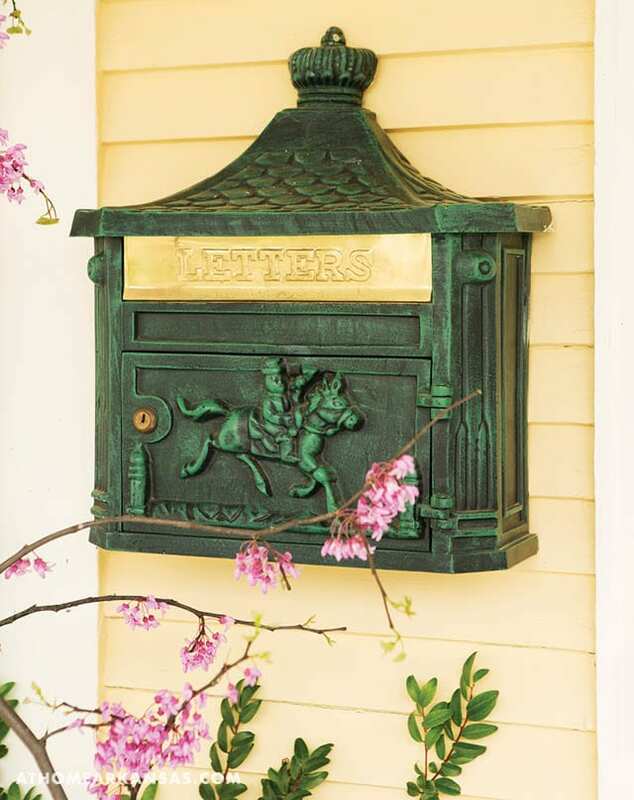 He foraged their yard for branches, berries, ferns, and other greenery, and then added roses and hydrangeas from his shop to soften the arrangements in the urns. 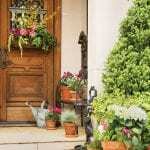 He notes that changing out these garden-picked items—along with providing fresh water—can be a way to maintain the creations and increase their longevity. 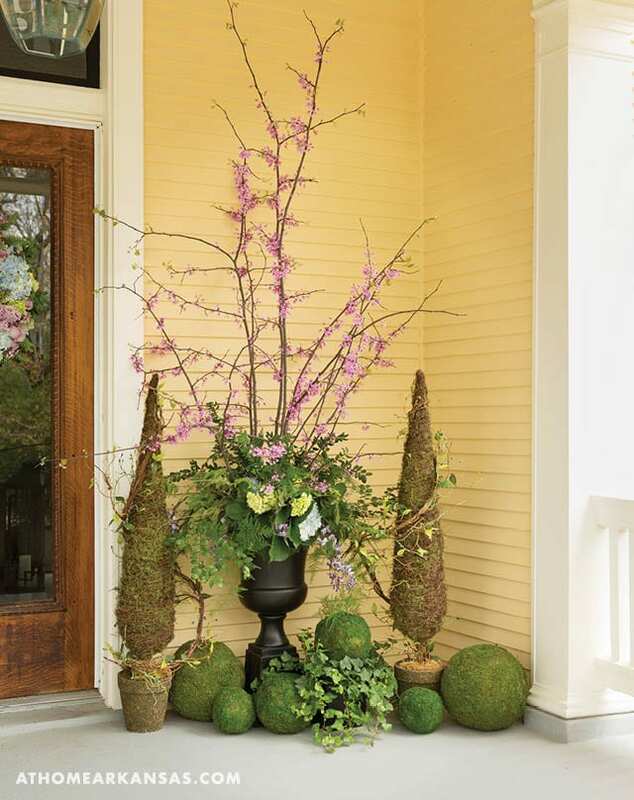 The wreath, which features more fresh-cut hydrangeas and roses, follows the lead of the containers, while moss topiaries and spheres complete the look. 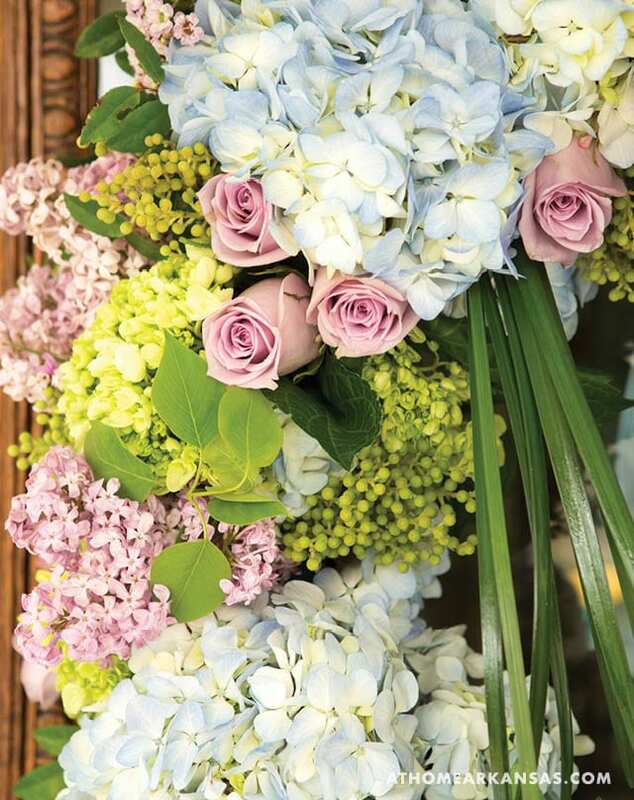 Northwest Arkansas’ PIGMINT floral design company is known for using large doses of color. 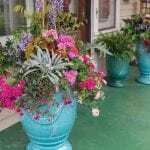 Their sister shop, Garden Living Supply Co., which offers outdoor supplies and nursery items follows suit with out-of-the-box plantings. 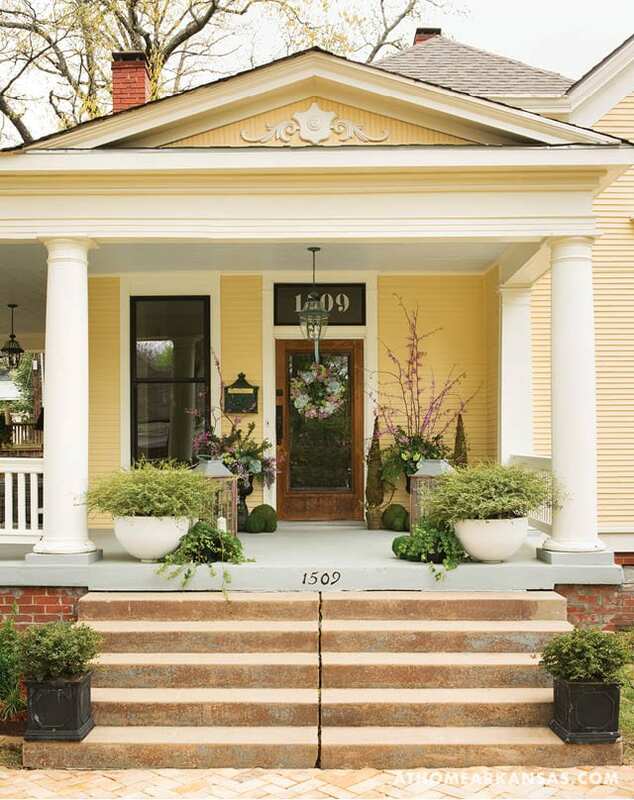 To accent the charming porch of this historic Fayetteville home, owner Chelsea Hermez and Garden Living manager Jeffrey Waggoner brought an array of vivid plantings. 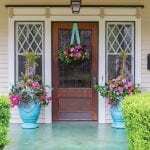 “This house has a lot of pastel features and a beautiful jade green floor, so we played that up. 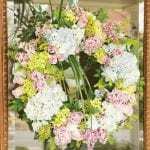 We also thought about the upcoming Mother’s Day holiday and incorporated a number of pink and purple blooms as a nod to moms,” Hermez says. 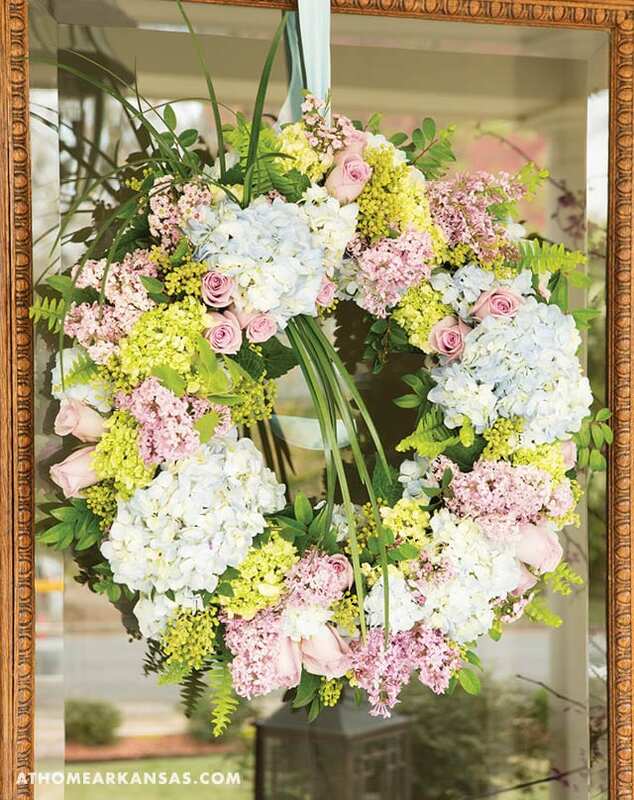 The hanging grapevine wreath, a locally made choice, is filled with a few of PIGMINT’s signature cut flowers, including ‘Coral Charm’ peonies, parrot tulips, double tulips, and ‘Free Spirit’ and ‘Pink Floyd’ roses along with a variety of foliage. 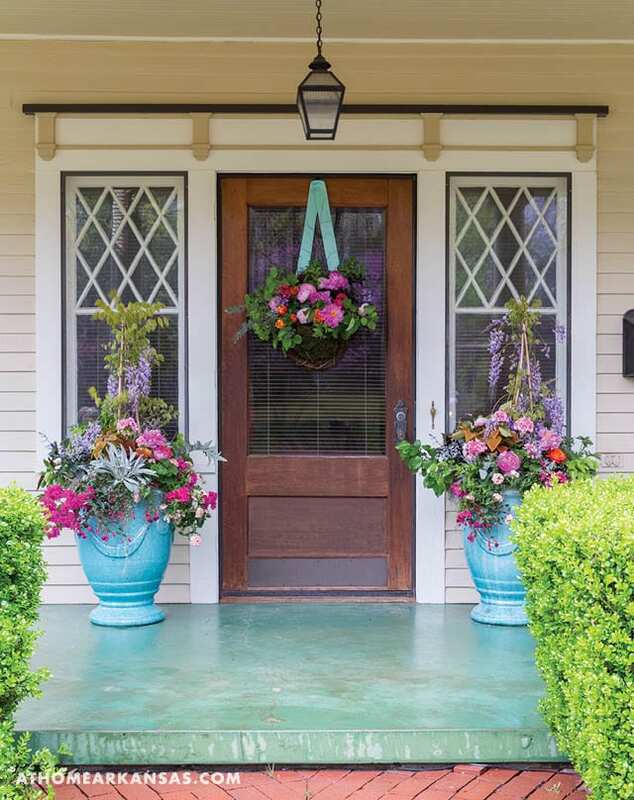 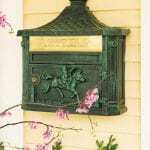 Wisteria vines anchor the large teal planters on either side of the door. 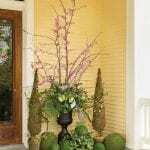 The team opted for these over traditional evergreens to add visual interest. 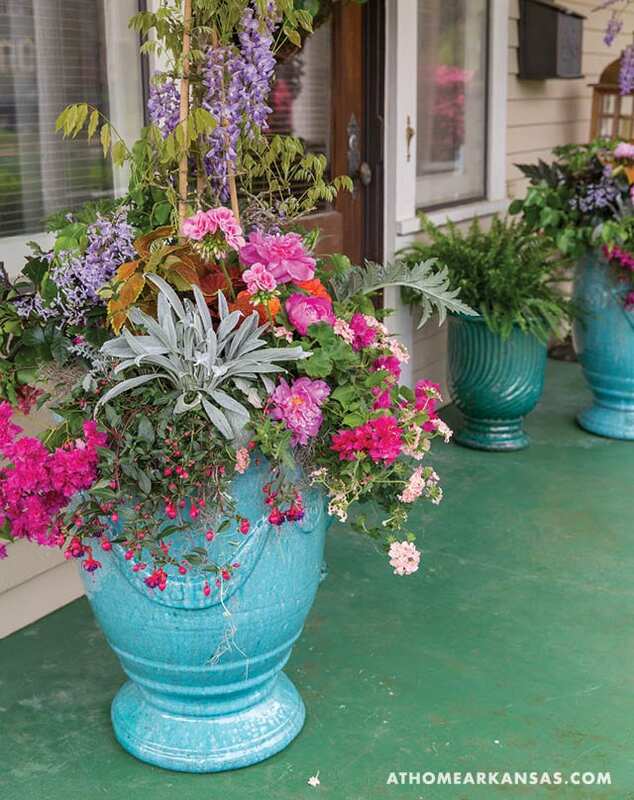 ‘Angel wing’ begonias, verbena, ‘Mona Lavender,’ bougainvillea, and artichokes—which Waggoner notes “have beautiful foliage” add to the vibrant creation. 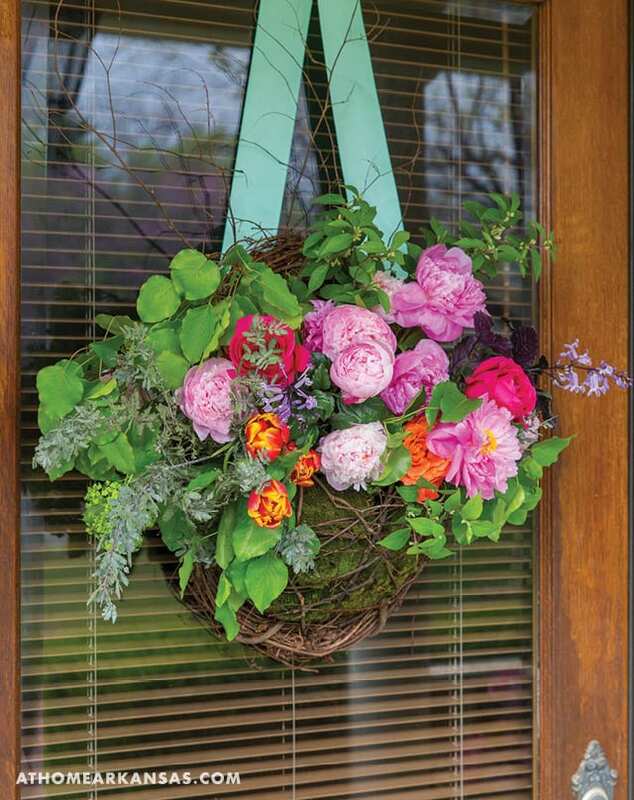 Several cut flowers were also placed in water picks to give additional blooms and color—an idea that can spruce up any planted container for an event.